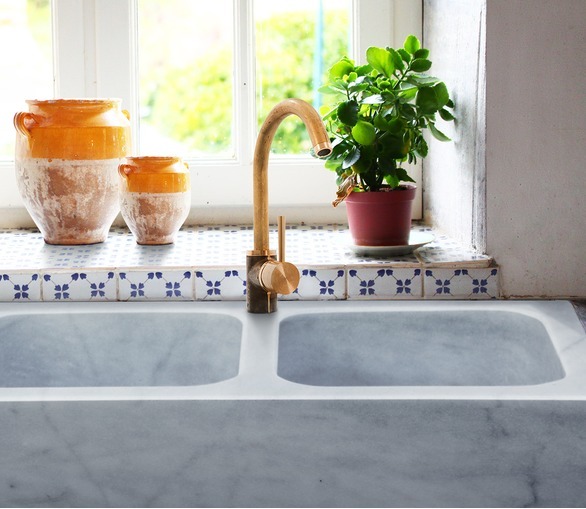 We have always admired the marble kitchen sinks found in Provencal and Tuscan farmhouse kitchens and vowed to make our own models. 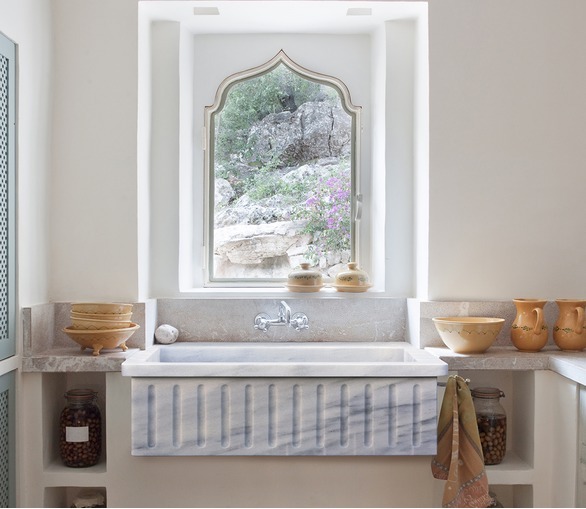 Our search for the best white marble led us to a little town far up in the hills that is totally dedicated to marble from quarrying to cutting and finishing it. We have developed three models, two for the kitchen and one for a laundry or utility space. We are planning to add more soon, but as the company we work with can make any size and quite a few shapes, bespoke options are available on request. 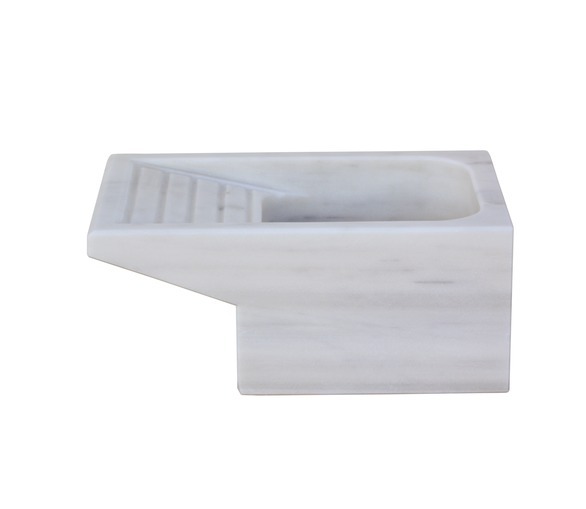 Our marble has a honed finish, which is like the finish found on antique sinks. It is not polished and shiny. 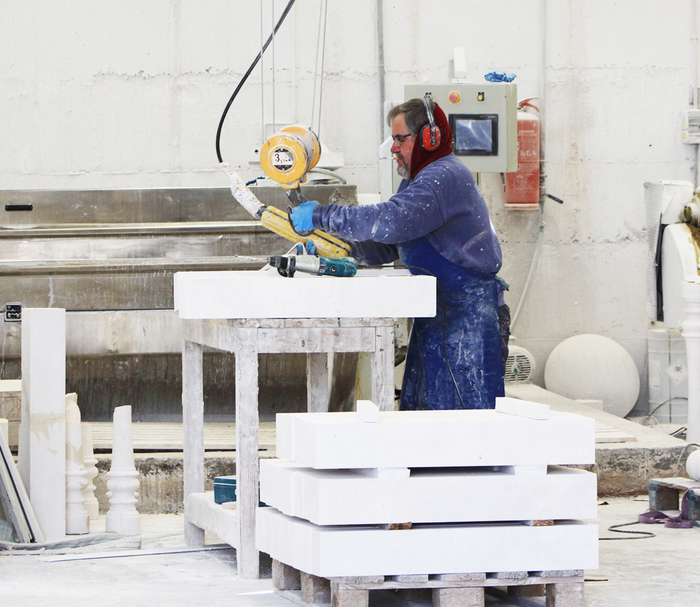 Here you see Marcel, one of the skilled workers using sophisticated machinery to fashion marble into a variety of objects, from work surfaces to shower trays and more.